Electric face brush vs manual… Why get a manual face brush when you can have the battery-powered or rechargeable option? For one, it leaves you out of the (extra) cost needed to operate it. When you travel, you don’t have to worry about cables and chargers. Oftentimes, these manual brushes are small enough to fit into your toiletry bag, so storage isn’t a concern either. Also, a manual face brush doesn’t have any speed settings. You get to dictate how hard or soft you want the cleaning process to be. Of course, there’s a disadvantage to this, but for people with delicate skin, this is a good option. Lastly, you can take your manual face brush with you in the shower or use it during baths and not worry about damage. Here’s our top picks for the best manual face brush available on the market today. Now, if you make a quick search, you’ll see that there are different types of manual cleansing brushes. Which one is for you? This brush is the most common, so they’re very easy to find. If you’re in Japan, for instance, you can always head down to a Donki store (the biggest discount store in the country) and pick your choice. And since they don’t have a complicated design, they’re also pretty affordable. Bristle-type brushes are made from either natural materials or synthetic fibers. One good example of this type of manual brush is this 2-piece cleansing brush from BMC. A silicon-based brush is a non-traditional type of brush. Due to the fact that it’s devoid of bristles, not to mention that they are sometimes designed handle-less, you might think it can’t really clean your face. But if you look again, this type of manual brush is equipped with silicon protrusions that act like tiny fingers that can dig deep into and clean your pores. The silicon-based brush is created for people with sensitive skin. An example is this 4-piece silicon face cleanser from Innerneed. The hybrid brush is a manual deep cleansing brush that has both bristles and silicon on it. One good example is this double-side face brush from Wisdompark. Using a manual face cleansing brush is basically the same thing as using an electric brush. Some people prefer to apply a cleansing cream directly onto the face, and others like to squeeze the cream onto the brush. This is a matter of preference. Depending on the brand, you may have to soak the brush in water for a certain period of time. This is to make sure that the bristles are uniformly soft. To start, move the brush following a circular pattern covering all sections of the face. Do it gently, but increase the intensity (by applying pressure) depending on your needs. This is true for people wanting a good exfoliation. When done, simply wash your face, and pat it dry with a clean towel. Rinse the face brush with water and let it dry. 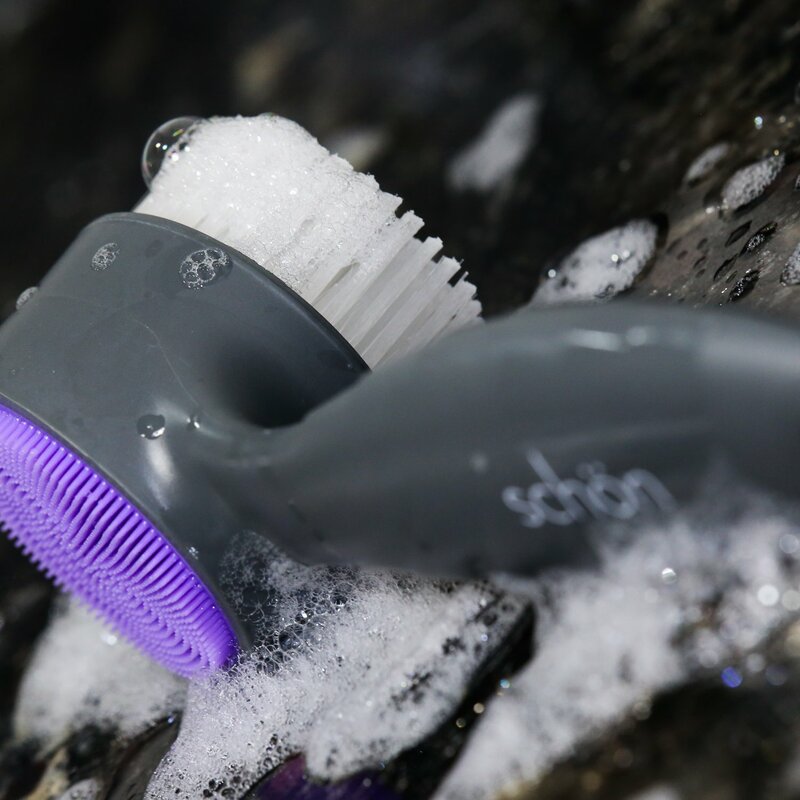 The SCHöN 2-in-1 Face Brush is a hybrid, double-sided cleansing brush. The bristles come with a protective cap, and the whole unit is equipped with a handle. From the words of consumers who have previously bought and tried this product, it is “solidly made” with “firm yet soft” bristles. Consumers also like that this brush has a sturdy handle, so even if you drop it in the shower, it doesn’t break like many plastic brushes do. 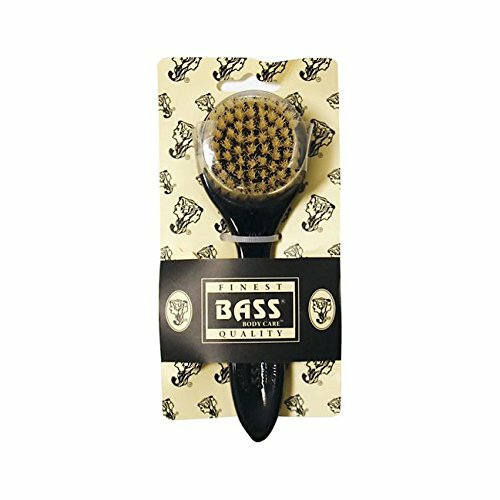 The Bass Facial Cleansing Brush is made of 100% natural bristles with a plastic handle. As opposed to wood, the plastic material helps prevent mold growth on the handle. What do consumers say about this brush? In general, the feedback and comments are positive. The brush is sturdy and it fits nicely in your hand, which is important especially if you want to clean your face while in the shower. There are two minor issues that some consumers have mentioned. First, this brush has stiff bristles. Before using it, it’s imperative to soak it in water to soften up the bristles a bit. Second, you don’t have a guarantee as what color of the handle you’re going to get. Small but fashionably terrible… this is how we describe this 2-piece set from BMC. Since you’re getting two brushes, you can put one in your toiletry bag for traveling, and you can leave one at home for everyday use. How does this brush fare among consumers? First, their bristles are very soft, and they create a nice foam to make every cleansing session an enjoyable one. Second, and more importantly, these brushes give good results. Several consumers say that their pores have become a little tighter, and that the bumps and dark blemishes on their face have disappeared. 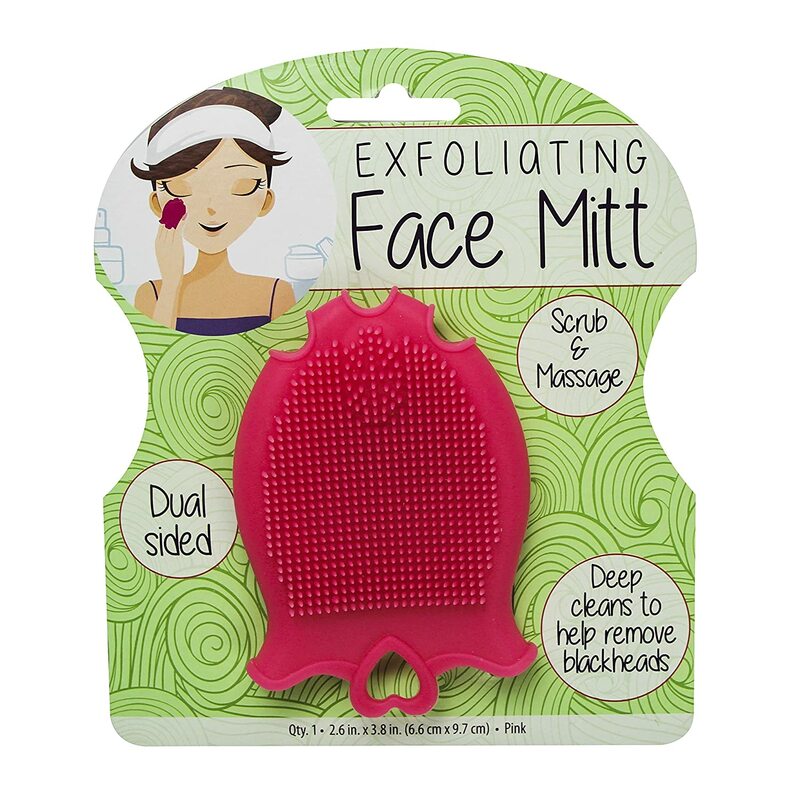 Say hello to S & T Exfoliating Face Mitt, a silicon-based, dual-side facial brush. On one side are tiny silicone bristles to help clean and remove blackheads. On another are bumps with a cute shape designed to massage the face. Do they work? The general consensus is, they do. They may be tiny in size, but they exfoliate the face while doing it gently.